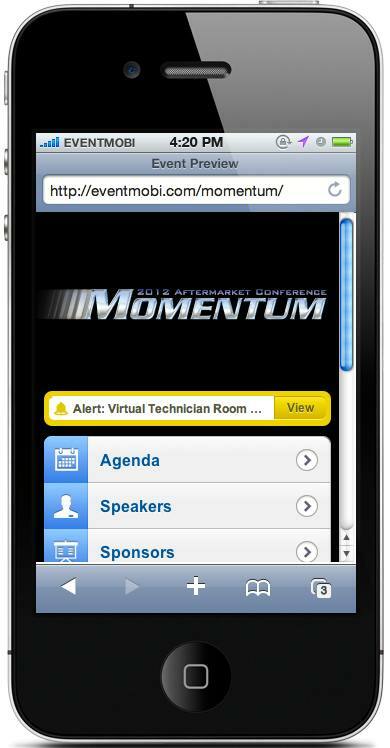 A mobile app for my former employer’s client, Daimler Trucks North America, and their Momentum 2012 Aftermarket Parts & Service Conference in Las Vegas. I researched all available mobile event app solutions and found a small outfit named EventMobi that had the right combination of features and cost. I was responsible for sourcing and inputting all content, making last minute scheduling updates on-the-fly, pushing all alerts to conference attendees, and providing tech support on the ground.